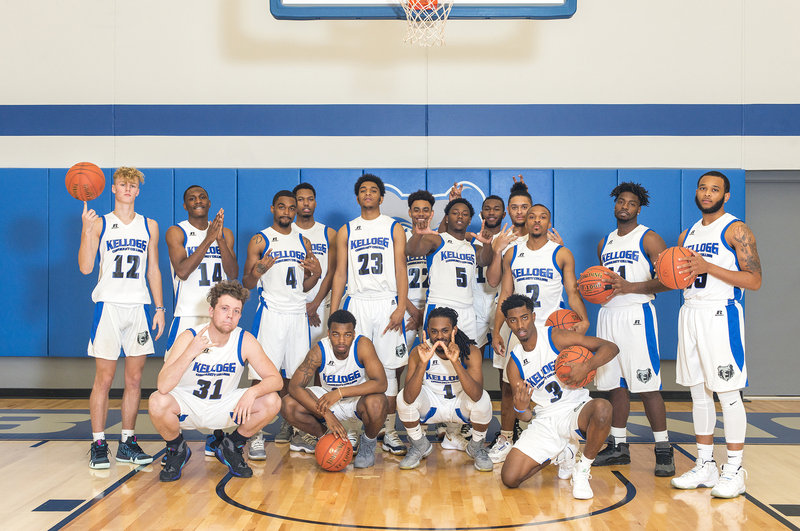 The Kellogg Community College’s men’s basketball team ended its four-game winning streak this week with back-to-back losses on Wednesday and Thursday. The team lost its latest home game 93-78 against St. Clair County Community College on Wednesday, then fell 94-85 to Albion College’s JV team on Thursday in Albion. Leading the Bruins on the court Wednesday were freshman Brandon Bellamy, who had 21 points; freshman Dom Gibson, who had 16 points; sophomore Omar Tabb Jr, who had 11 points; and sophomore Davian Phillips, who had 11 points. Leading on Thursday were sophomore Tishaun Cooper, who had 29 points; sophomore Davian Phillips, who had 18 points; and freshman Wyatt Heal, who had 12 points. The recent losses bring the Bruins’ overall record for the season so far to 4-3. The team plays next starting at 1 p.m. Saturday, Dec. 15, in a KCC Alumni Game scrimmage at home in the Miller Gym.